Willis began his career with Wolverhampton Wanderers but did not make a first team appearance for the club, his time there affected by the war years. During the war he played as a guest for Port Vale and Crewe Alexandra. Joining Brighton and Hove Albion in 1948, he scored 13 goals in just 28 games before moving to Home Park. Not the most naturally gifted of players, his tireless energy and enthusiasm often unsettled defenders, creating chances for himself and his colleagues. Willis spent seven years with Argyle but was never a first team regular, a fact reflected in his appearance totals. 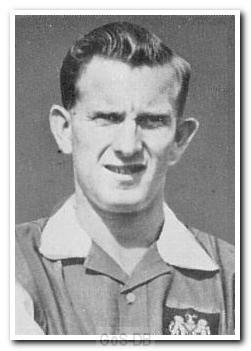 In 1956, when wholesale changes were being made at the club, he moved on to Exeter City, where he played for two seasons before a stint with Taunton Town. Footnote: Willis was the stepfather of Ian Fraser Kilmister aka "Lemmy" from legendary UK rock band Motorhead. Lemmy went by the name Ian Willis early in his career. George joined Falmouth Town in the South Western League and helped them win the South Western League Cup in 1958/59 by scoring a hat-trick in a 6-3 win over local rivals Truro City in the final played at St Blazey.